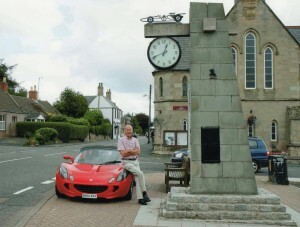 A personal recollection of ‘supercar’ ownership in a very different era. 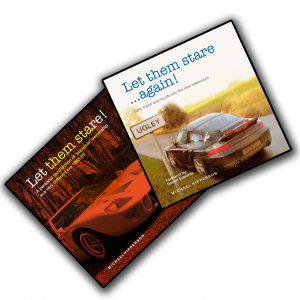 Buy Let Them Stare and Let Them Stare Again in our secure store. Find out more about the great cause we're raising money for. “In 1982, I recall, I was barrelling happily down the A303 in an Aston Martin DB4, doing a fair old speed. The dial didn’t work, so I couldn’t really tell. I was running late for my supper. It was early evening in the Summer, so quite light. Over the years Michael Hipperson has been fortunate enough to own some of the most exotic cars available. 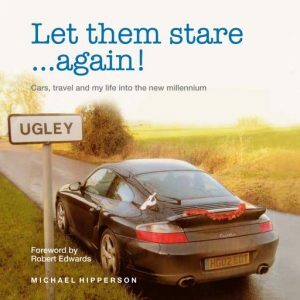 His latest book, Let Them Stare Again!, looks at cars, travel and his life into the new millenium, whilst Let Them Stare! 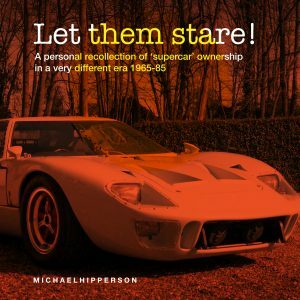 takes a retrospective look back at three decades of supercar ownership, gives a fascinating insight in to the highs and lows of running some of the defining cars of the era, and what happens along the way. All profits go towards helping Little Havens Children’s Hospice and continuing the great work the hospice does supporting children with life-threatening and life-limiting illnesses and their families.